At Nokia’s Here connected car division(s nok) in Chicago, researchers are pouring over crowdsourced vehicle data from all of the world, trying to figure out how our future autonomous vehicles should comport themselves on the road. This presents a problem for Nokia and other companies developing driverless car technologies, Here VP of Connected Driving Ogi Redzic said. In these early days of autonomous driving, the auto industry has to take into account the foibles of human nature and the ingrained wisdom of the road when programming the driver logic of the first autonomous cars. 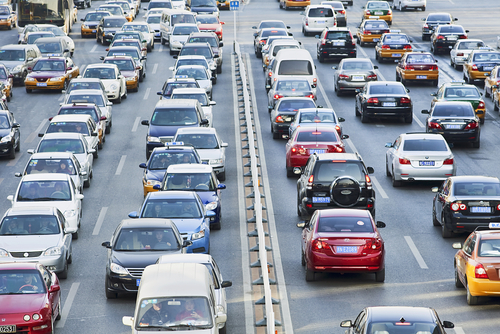 Otherwise independently acting vehicles might create the congestion and cause the accidents they’re intended to avoid as human drivers react to their seemingly erratic behavior. That doesn’t mean training driverless cars to weave within their lanes or flip off pokey drivers as they pass them on the shoulder. But it does mean programming some inefficient behavior into vehicles, getting them to match the typical patterns of human drivers as they, say, navigate a particularly sharp curve or position themselves between vehicles in traffic, Redzic said. That won’t always be the case, Redzic added. Emulating human driver behavior will be key in emerging Advanced Driver Assistance Systems, which will take control of the wheel and peddles in emergency situations or give the car a slight nudge when it meanders outside of its lane, and in the early days of fully autonomous cars. But as more autonomous cars make it onto the road, Redzic believes humans will start adapting their behavior to the driverless cars, rather than the other way around. Redzic said he couldn’t predict an exact moment, but the day the number of autonomous cars match the number of human-controlled vehicles would be a good starting point. Ultimately human driver behavior will have to change. We tend to think of driverless vehicles as a convenience — putting your car on autopilot so you can check your email without careening into a school bus — but there’s a much bigger picture. Autonomous and connected cars will be much more efficient cars. Vehicles with similar destinations will “platoon” on the highway, minimizing lane changes and easing congestion. Vehicles connecting to our transportation infrastructures will be able to route around accidents and make more efficient use of all the streets, roads and highways available. With governments reluctant to invest more money in transportation infrastructure and the number of vehicles on roads only increasing, a key mission of the autonomous driving will be to pack as many automobiles as possible onto our existing roads, moving them from their various point As to Points Bs in the most efficient manner possible while minimizing the fuel they consume and the greenhouse emissions they produce. The alternative is global gridlock.